Cattle prices edged higher this week, as markets remain in a holding pattern, seemingly across all levels. Export beef prices have started the year relatively steady, putting a base in the market. 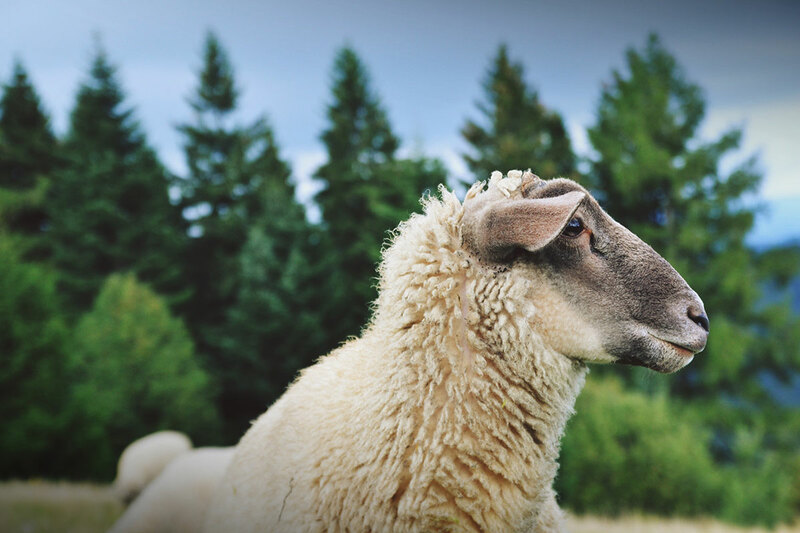 Slaughter cattle are maybe a little too expensive for processors, but tight supply and restocker demand is supporting prices. Regular readers will know we often quote the 90CL Frozen Cow indicator as a benchmark for export beef prices. Historically the 90CL has had a good relationship with cattle prices here, and it is reported weekly, hence we like to use it. 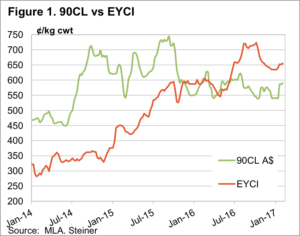 This week the 90CL edged a little higher, hitting 590¢/kg cwt, almost exactly the same level as this time last year (figure 1). In fact, the 90CL indicator has tracked in a historically narrow range for much of the last 12 months, bouncing between 550 and 600¢/kg swt. Tight supply out of Australia and New Zealand has been somewhat counteracted by weakening demand from the US. According to the weekly Steiner report, beef demand in the US has improved recently. This has been on the back of cheaper domestic beef, and improving margins for retailers, therefore they have been pushing beef in their marketing campaigns. For us it’s strange to think retail or fast food marketing campaigns could have any impact on cattle prices, but apparently it’s g ood for us if McDonalds sell more burgers in the US. Locally it was Queensland where the action was this week. 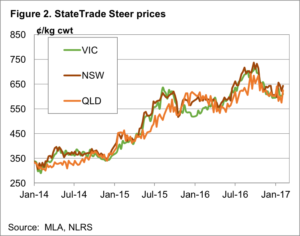 The Qld trade steer indicator rallied 50¢ to 625¢/kg cwt (figure 2). The saleyards in Queensland are a full dollar higher than the Over the Hooks quote. Figure 2 shows there is little difference between state trade steer indicators, which is normal for this time of year, as markets move into a holding pattern. The next major market move is usually lower in autumn, as northern weaner cattle and cull cows hit the market. How much impact this has this year will depend on rainfall, obviously.